Notary Publics can find themselves in the hot seat of they become sloppy in their work. Performing bad notaries because of lack of attention to details or simply ignoring the importance of having proper documentation can lead to legal trouble for both the signer and the notaries. Legall and Notary Experts all agreed that failing to require a signer to physically appear before the Notary Public is the most common mistake that lands Notaries in legal hot water. 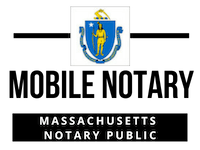 Notarizing without a signer’s personal appearance is a violation of Massachusetts Law and in every state and territory. It can result in major financial and legal penalties. 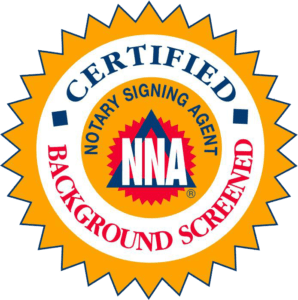 Our Mobile Notary Signing Agents will always require the signer to be present and with valid Government-Issued Photo Ids. The second most common error is failing to keep a record of their notarial acts, especially in states that do not require it. But that’s a problem because a properly maintained journal is your best protection if someone makes a claim against you. Failing to record information in the journal when the law requires like it does in Massachusetts, it can be a serious problem. That is why we travel with our Journal and log all Signers information and collect their signatures as required by the law. Unless the signer personally appears and presents a valid photo ID, our Notary cannot do the notarization. Period. While writing incorrect information on certificate wording or forgetting to write in information is often done accidentally, it’s a situation that can cause major headaches for a signer and trouble for the Notary if a problem with a document results. Also be mindful that letting others use your Notary seal or not properly securing your seal can be damaging. Very Knowledgeable, was on time, very friendly and I highly recommend their mobile notary for anyone in the Hospital, Senior Living or assisted living, they will come to you and do the notary at your place. The price/fee was worth every Penney.